Innovation-making is a classic theme in anthropology that reveals how people fine-tune their ontologies, live in the world and conceive of it as they do. This ethnographic study is an entrance into the world of Buryat Mongol divination, where a group of cursed shamans undertake the ‘race against time’ to produce innovative remedies that will improve their fallen fortunes at an unconventional pace. Drawing on parallels between social anthropology and chaos theory, the author gives an in-depth account of how Buryat shamans and their notion of fortune operate as ‘strange attractors’ who propagate the ongoing process of innovation-making. 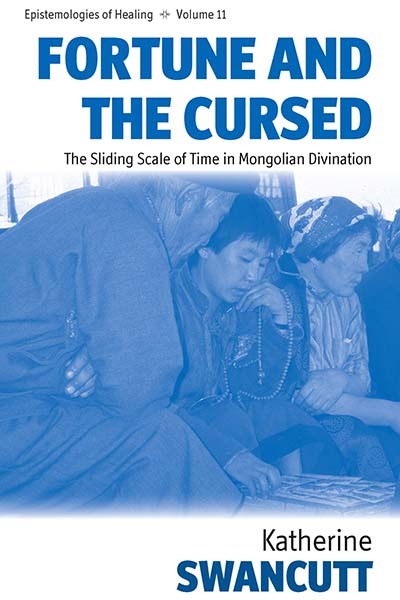 With its view into this long-term ‘cursing war’ between two shamanic factions in a rural Mongolian district, and the comparative findings on cursing in rural China, this book is a needed resource for anyone with an interest in the anthropology of religion, shamanism, witchcraft and genealogical change. Katherine Swancutt is a Research Fellow in Social Anthropology at the University of Oxford. She has carried out fieldwork on shamanic religion across Inner Asia, working among Buryats in northeast Mongolia and China since 1999, and among the Nuosu of Southwest China since 2007.